On-device Storage 8GB internal (approximately 6GB available for user content). 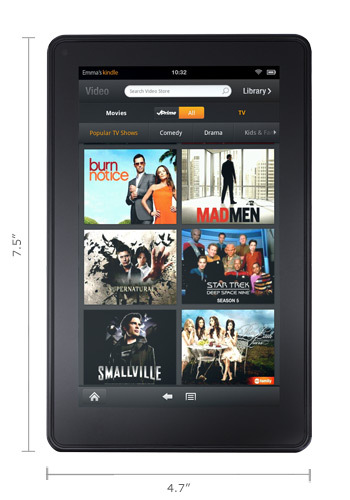 Kindle Fire HD 8.9" over the 7" Fire, as I feel the increased size has a dramatic effect on the tablet experience. The first and most important thing that should be said about the Kindle Fire is that this is not an "iPad-killer." It is not designed to be. 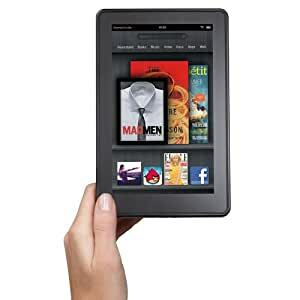 I have seen so many articles and comments comparing this to the iPad, and surveys where people are asked if they will be buying a Kindle Fire over an iPad this Christmas. If you are expecting an iPad, or even a tablet, you will be disappointed. The main purpose of this device is to deliver Amazon content to you more effectively. It is designed for consumption, not creation. That is the reason it is so cheap and why Amazon is taking a loss on it. They are hoping to make up for that loss through sales of videos, music, books, and apps through Amazon's Web Services. You can also use it to view your own movies and media, but will find that it is more limited in that way than a regular tablet. Personally, as someone who has ordered several rentals from Amazon Video, and had to contact customer support for every single one of them due to problems with Amazon's Unbox player or purchases not appearing in my downloads, I can really appreciate this. But if you don't plan on using Amazon at all to obtain your media, you may want to take this into consideration before purchasing the Fire. Additionally, the reason this product is so hyped, and one of the reasons I like it so much, is due to the ridiculously low price. Amazon reviews shouldn't focus on price, but it is hard not to with this device. On price alone, this is a five star device. However when looked at the Fire overall, and when compared with other touch devices (what little there is to compare it to), I have to give it four stars, since there are a few areas I feel could use definite improvement. FORM FACTOR - The Kindle Fire feels almost the same in my hand as my 3rd generation Kindle but it is a bit heavier. It might be difficult to hold it one handed and read a book for an hour or watch a movie. You're going to need to rest it on something. The display is made of Gorilla Glass, which is a highly damage-resistant. You can still crack it, but I have used a phone with Gorilla Glass for two years on it and it has zero scratches on it despite being kept daily in my pocket with my keys. The back of the tablet is rubberized, so it won't slide around and won't get scratched easily. It also feels good in my hand. Despite all the companies that will be selling them, I do not think you need a screen protector. I have scratched Gorilla Glass before, but it is very difficult to do. CONNECTIONS/STORAGE - On the bottom are a headphone port (which will accept external speakers), micro-USB (for charging and file transfer), and power button. The Fire doesn't come with an SD card slot, with good reason. As mentioned, Amazon wants you to get content directly from them. It also reduces the production costs. You can transfer your own content to the device through the USB connection from your home computer. The Fire comes with 8Gb of storage, which is enough to hold about 8 downloaded movies, 80 apps, 800 songs, or 6,000 books. I filled mine up right away so I never checked it out of the box, but apparently it is closer to 6.5Gb as the OS is going to take up some of this. You have to really become adept at managing your content through the Cloud. Books won't take up much room, but magazines are around 250Mb and movies are a little under 1 Gb. Free videos available through Amazon Prime cannot be downloaded, only streamed. So unless you buy a movie from Amazon or transfer one of your own, you must be connected through a wi-fi connection in order to watch your movie. AMAZON CLOUD - If you have not tried out the Amazon Cloud Drive, you will be pleasantly surprised. You get 5Gb (which they will probably increase in the near future) of free online storage to store anything you want, and you can access it from anywhere. This combines very nicely with the Fire. 5Gb isn't much for my collection, so I upgraded to a higher plan (rates are $1 per extra gigabyte per year). I can upload a playlist to it and listen to it on my home computer, then when I get to work the Fire can access it and pick it up where I left off. Any songs you get from Amazon Mp3 are automatically stored on the Cloud and don't contribute to the 5Gb storage space. E-READER - This was going to be the big determination in whether I should get a Fire or the new Kindle Touch. Ultimately I ended up getting both since I prefer the E-Ink technology to the backlit display of the Fire. If you are the type of person who reads a lot and expect to spend at least 50% of your use on reading books, I don't think you will be satisfied with the Fire over your Kindle 3 or the Kindle Touch, Wi-Fi, 6" E Ink Display - includes Special Offers & Sponsored Screensavers. It just isn't the same, and after hours of reading, the display would make my eyes hurt a bit (just like with any tablet). However it is nice not to have to use a lighted cover to see my books in the dark. The Kindle Fire is difficult to read in bright sunlight or on the beach. The touch navigation is very nice, but it doesn't function as nicely or quickly as it does on the iPad or even the Kindle Touch. This can be a problem for me, and the main reason I am using the Kindle Touch for reading books. Additionally, the Fire doesn't support real page numbers, even though the Touch does. So you have to use that ridiculous "location 121 of 16077 - 2%" format. A year of that with my last Kindle and I still don't understand what that means. They need to fix this in an update. Being able to touch a word and have it bring up the dictionary is incredibly convenient and takes less than 2 seconds. But still, the Kindle Touch handily beats the Fire for reading. MAGAZINES - The Kindle Fire can also handle magazines, however the display is just too small to be an enjoyable reading experience. I tried out several different magazines, and the main problem I had was with the formatting. I tried to read an issue of Bon Appetit and my eyes were straining after three pages. There is no way to read a single article without zooming. The Fire handles magazines two ways: with Page View, which shows the original magazine display, and with Text View, which attempts to just provide the text of the article. A lot of magazines these days have several things going on in one page, with multiple columns, little sidebars and boxes everywhere, etc. I couldn't view a lot of this without zooming, the text is just too small. So Page View did not work very well for magazines like this. It is especially tough with magazines like Entertainment Weekly, Men's Health, GQ, etc. I found magazines like that unreadable on the 7" display. Magazines that focused mostly on the article, like Nature, Wired, etc, were handled much better. Some magazines even come integrated with embedded video and audio, which is a very nice feature, and one I can see being very useful for things like Men's Health, but I haven't had as much of a chance to use it yet. Text View is a very nice feature that works mostly well, but seems to get a bit confused with magazines that have complicated formatting, so it pretty much defeats the purpose since those are the ones I need it for the most. COMIC READER - This is one of the main reasons I purchased the Fire. Amazon has a fairly extensive collection of comic books available for the Fire, including an exclusive deal with DC to publish many of their books. In addition to a proprietary comic reader that comes on the Fire, Amazon also has a Comics by ComiXology app available to purchase issues and subscriptions through. Although I initially thought the 7" display would be too small, it is actually decent enough to serve as a comic reader. I would definitely prefer a 10" version if they came out with one in the future. A 10" tablet is still the way to go for comics, but if you're looking for a cheaper option and portability, the Fire isn't too bad, and definitely beats a smart phone. It has a "panel by panel" feature that lets you scroll through the issue by different panels, which it will then zoom in on. You tap the panel when done, and it moves to the next panel. This is great for getting a larger view and working around the size restriction, especially since some of the text in the comics is just too small to read. Although it is fairly decent, if you are considering the Fire just for comic books, and you are a Marvel fan, you may want to hold off and look at another retailer's device which I think has a few more options. You can load your own .cbr comic files on the Kindle, but you'll need to use a third party app, like Comicat to do it. AMAZON MP3/VIDEO - Amazon hopes that you will get the majority of your content from them. That is why the Fire is so reasonably-priced. Amazon music is DRM-free. DRM is copy protection. That means that the record labels haven't locked down the music you buy from Amazon to restrict how you use it. Amazon MP3 music is playable anywhere, even on your Apple devices. It also has a very high bitrate so you are getting great quality. You don't have to worry about not being able to listen to your music 15 years from now if Amazon goes under. It's yours forever. As far as video, I have always disliked Amazon's Video services. The prices are very reasonable and they now have a huge selection, but obtaining the videos is a huge pain due to Amazon's terrible Unbox player. That changes with the Fire, as everything is native and streams/downloads beautifully. If you make a lot of purchases with Amazon, or if you have several Amazon customers in your household, you should take advantage of their Prime program. In addition to the large selection of free videos now available to Prime members, the shipping advantages are amazing. I once had a 200 lb exercise bike overnighted to my house for only $3.99. Everything I order I get within 2 days. The Prime program seems expensive but it has certainly paid for itself over the years for me, and now is even better that it is integrated more with the Fire. The only problem I have with video playback is that everything I watched did not fully expand to the screen, and was letterboxed. Considering the small 7" display size, this was an annoyance for me. I know shows have different aspect ratios, but some should fit the display, and I think many users will be annoyed that they can't zoom or stretch the display to fit. WEB BROWSING - This is another feature I was initially excited about. I like the idea of being able to use the Fire as a netbook. Amazon advertises "ultra fast web browsing" using Amazon's Silk browser. It is based off of technology that is designed to increase page loading times by pre-fetching part of the content. Sounds like a great idea, but doesn't work as well in practice. I tried out the Fire on several different connections and compared page loading times with other devices (all connected wirelessly). The Fire was one of the slowest. Amazon's own web page, which has actually recently been optimized to work with the Fire, takes an average of 7 seconds to load. Other major portals took a similar amount of time or slower. My iPad and my Xoom both load pages much faster. It is not slow enough to be a problem, but not fast enough to impress me or be worthy of Amazon's marketing regarding it. This needs to be improved. UPDATE - As of February 2012, page loading times are much improved. It can still be a bit slow and stutter at times, but you can increase this by following the steps at the bottom of this review. I am mostly satisfied with browsing now, although Silk still occasionally won't recognize it when I touch a link. BATTERY LIFE - Amazon advertises 8 hours of reading or 7.5 hours of video playback. As an average, that's probably fairly accurate. During testing I got an average of 7.4 hours of continuous reading, and 7 hours of video playback over five tests for each. 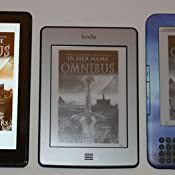 This is a big change over the roughly 30 days of continuous reading with the traditional kindle, so it may hamper you a bit if you're a voracious reader. I just got into the habit of charging it every night with my cell phone. You can shut down the Kindle or put it in sleep mode. I keep mine in sleep mode all the time because it is so efficient that it uses almost no battery. I can leave it in sleep mode for 2 days and come back and not notice any change in battery life, and since I don't have to reboot, it starts up immediately. VS IPAD - As said, this isn't designed to be an iPad. I have an iPad and there is so much more I can do with it compared to the Kindle. The Fire serves a different (but sometimes similar) function. I just don't ever see Amazon building up the type of app store that Apple has, and that's where you're going to find the major differences. Additionally, the 10" display on the iPad makes a huge difference to me over the Fire's 7" display when it comes to watching movies and TV, and reading magazines and comic books. However, I think there is definitely room for the Fire to steal some of iPad's market share, as many people (I am one of them), will find the functions they want in a tablet can be covered by the Fire. USER INTERFACE - The Fire uses a heavily modified version of Android. I really liked the interface, however I don't think it works as well on the Fire as it does on a full tablet device like the Motorola Xoom. Occasionally I would try to make a page turn and have it not register on the Fire, or have it register more slowly than I am used to. If you have a lot of experience with the iPad, you are going to notice that the software doesn't respond as quickly on the Fire as it does with other tablets. Although this is an inconvenience and something I definitely feel needs to be addressed, I can accept it given the lower price point. I will have a problem though if this is not resolved through a firmware upgrade in the future. The Fire's custom version of Android is very nice. The most recent applications or files accessed will display in a carousel format that you can rotate through. You can also set up commonly-used applications as favorites. If you want to access movies and pictures that you manually load onto the Fire, you have to open up the "Gallery" app, rather than accessing them from the "Videos" and "Photos" tabs. The gallery app does not very user-friendly at displaying these files. For instance, it just creates thumbnails for all your video files and doesn't let you view the file names when selecting a video. If you have dozens of videos from a single TV show, there is no easy way to organize them in the gallery. It's clear Amazon wants you to view their videos purchased from them rather than your own. I would really like to see them fix this through a simple firmware update but I doubt they will. - No bluetooth and no HDMI. I could really use bluetooth for integration with bluetooth-capable speakers and so I can use bluetooth audio in my car. As a media player, I feel this really should have been included, and I imagine it will with future versions. This is especially important since the audio from the speakers is a bit tinny and weak. I have been using headphones with all my media-playing, which significantly improves the sound. There is also no physical volume button, which is a pain when you need to silence the device quickly (EDIT: You can sideload the "Volume Control" app by RubberBigPepper" from the Android Market for a great software workaround to this). I also would like HDMI output so I can take my Amazon video purchases and watch them on my TV. Another big disadvantage in a device that is made for media. This will also likely be included in a future edition, so at $200, I don't feel bad about possibly having to upgrade a year from now to get it. - Only 8Gb storage space. As mentioned, this device is mainly designed to integrate with Amazon's Cloud, so 8 should be enough, but it would be nice to have at least 16. I imagine Amazon did this on purpose to force people to use their Cloud service. - Touch capability can sometimes be sluggish. iPad and other tablet owners may be disappointed with the touch reaction time and some aspects of the software. - Video doesn't include option to zoom or stretch the display to fit the screen. - Very limited selection of apps from the Amazon App Store. Most of the apps are mediocre games. UPDATE - you can get around this by manually loading apps onto the Fire. Do a search for "sideload kindle fire." It is very easy. - Web "Accelerator" is not as fast as other tablets. - No Micro-USB transfer cable included with it. Another way for Amazon to discourage you from transferring your own files to the device. 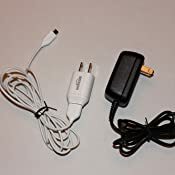 If you want to do that, you will need to purchase one separately, like the AmazonBasics USB Cable - 2.0 A Male to Micro B (6 Feet / 1.8 Meters). SUMMARY: Bottom line, you will not find a cheaper device out there for streaming music, video, and books than the Kindle Fire. The reason that this device is so amazing is not for what it can do, but for what it can do at such a cheap price. The price tag, not the technology, is the story here. Although I definitely feel there is room for improvement and will be interested in seeing Amazon's second generation of this device (which I think will be significantly improved), the Kindle Fire is a solid start. If you can wait a year or more for Amazon to work out the kinks with the Fire (like it did with its 1st generation of the Kindle), you should definitely do that. The next version should fix a lot of the problems that keep the current Fire from being a "Five Star" product. Unfortunately, reviews shouldn't focus on price, so due to some issues with the form factor and touch interface, I can only give it four stars. It is just not "perfect" enough for me to say it is a five star product without taking price into consideration. But aside for that, there is really only one device you can compare the Fire to - The Nook. So for what it is, I would have no problems recommending the Fire to consumers who can take advantage of it. This product more than lives up to what it is DESIGNED to do. If you plan on getting most of your content from Amazon AND you have a Prime membership, I think you will really find this is a pretty incredible device for the money. UPDATE 28 Dec 2011: After getting a new case for the Fire that makes it easier to hold, I'm starting to use it more for reading (although I still prefer my Kindle Touch for anything over about 45 minutes). Some magazines are now better adapted to the Fire liked my subscription to Wired, and some are still terrible and just compressed PDFs. An update released last week adds more privacy features so you can delete recent history form the carousel, and does improve noticeably on the touch sensitivity, although it can still be frustrating at times and not as smooth as something like an iPad. Browser loading times are still disappointing, but not as bad as they were at first release, and I don't notice them as much. I am continually impressed at battery usage for this device. Despite using it less than an hour a day, I never turn it off and only charge it a couple times a week. The rest of the time it sits in standby mode which is extremely efficient. If they could improve a couple more options I'd be closer to giving the Fire five stars. Enable plug-ins: Change this to "off." This will disable Flash, so if you have any web sites that need it you can re-enable it (YouTube works fine). Accelerate page loading: Uncheck this. If your wifi connection is decent, it's not really necessary. Mobile (This one is optional, but I prefer to view everything in mobile mode rather than having Silk trying to force a desktop view on a 7" screen." This Kindle Paperwhite was the ninth (and last) Kindle I have bought from Amazon. 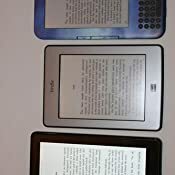 Since 2011, I purchased every new Kindle version, and I enjoyed them all tremendously. This latest edition is undoubtedly the best of them all. The Bookerly font with improved character spac-ing makes reading very easy. The built-in front light prevents eye strain because light does not shine into the reader’s eyes. There is really nothing I don’t like about this reader. Why then was this the last Kindle I will ever buy? A short time ago, one of my Kindles got lost or stolen. I informed Amazon and expected there would be support in locating the device, or that at the very least, the serial number would be blocked, so that nobody else could register the missing device in his or her name. In response to my notification the Amazon customer support person wrote: “I’ve marked your Kindle device under ‘lost device’ category.” Unfortunately, this does not prevent a find-er or thief to register the device in his or her name once it was deregistered, and there was no support offered at all in locating or securing the lost device. 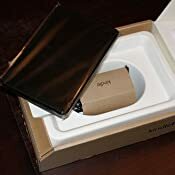 Even though Amazon assured me that nobody would be able to make purchases with my credit card linked to the missing device, I read in the forums that this has happened to people. So as a precaution, I had to go through the hassle of changing my credit card. I have been an Amazon customer since 2000, and a very good “Prime” customer, I might say. Records show that I placed orders nearly every other day. I was convinced that Amazon was one of the best companies to buy from. But after this lack of customer concern I regretfully had to change my mind. As a mother, I am doubly upset. This Kindle was used by my son who is a cancer patient. He had much cancer-related information on this device that he cannot replace, and also books he was reading during chemotherapy. I felt so bad for my son that today, I went and bought him iPad Pros for son and for myself. After what happened, I have lost all enjoyment in using a Kindle. From now on we will stay with Apple devices. If an iPad is lost or stolen, at least we can use the “Find My iPad” feature to help locate and secure the devise. 5.0 out of 5 starsSeven straight years of solid use. I loved this tablet! My kindle finally died after seven straight years of solid use. A few months ago it slipped out of its case and the screen cracked from the inside, gradually spreading until I couldn’t boot it up at all the other day. What can I say? I’ve been reading books on this every night, carried it back and forth to classes and workshops and traveled with it for seven years without a single glitch until now. This machine doesn’t owe me a thing! I’m just sorry to see it go! I’ll be buying another, I’m sure. I much prefer the kindle to the iPad for reading books and updating Evernote and scanning Gospel Library. I love my iPad for its large screen, video streaming and photo capability, but I prefer the kindle most of the time for its size and portability and storage capacity. 2.0 out of 5 starsExcept for the Charger—It’s Great! Look, I know it’s 2019 and I bought this in 2012. I just never got around to writing a review. I would give this 5 stars except for one thing: the chargers never stay in any of my Kindles!!! This is so frustrating. I end up having to put tape on it, and that is never fully effective. Why can’t they make this so the chargers stay put??? Poor design. I have two kindles, and I’ve bought a few for my kids. I love my Kindle Fire, except for the charger, because it is a very affordable way to have a multi-media entertainment center while traveling. I can read, access the Internet, watch movies, read emails, play games... It’s great! EXCEPT for the charger design!